Quantum Limit.com: We Salute America! Today I received the message below from regular Quantum Limits reader Alex Bonnici. Alex is an American of Maltese heritage currently living in Malta. I'm an Australian also of Maltese background who agrees with Alex 100% . Only societies that encourage free thought, entrepreneurship and risk taking will succeed in the new frontiers. America, the country that gave the world the Wright brothers, Henry Ford, Bill Gates and , of course, the great Colonel Sanders, will pioneer the frontiers because of it very nature, it must. So today, this July 4th , we salute the United States! Do have a look at the full New York Times article. Its a great article on some remarkable Americans. Today is July 4th, 2007, the birth date of a unique nation and a unique people. Two hundred and thirty one years since fifty-six men with an “iron pen” and on the authority of the good people of the colonies, signed the Declaration of Independence, mutually pledging to each other their lives, their fortunes and their sacred honor, thus, creating a nation whose very name is synonymous with ideas of freedom, liberty, and justice. With the strength and resolve with which the Declaration was written these men forged a new nation and a new people noted for its rugged individualism and inventive spirit when confronted with the challenges of necessity in the face of a new frontier. We are a nation whose structure of governance stands as the very hallmark of innovation in the very way a free people choose to conduct their lives. Our nation and its freedoms is the cauldron from which new and independent inventive spirit emerged. We are a people who never shied away from a challenge. We are a nation on the forefront of science and invention. 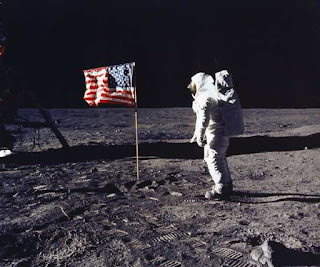 We are a nation that gave the world the light bulb, the phonograph, broke the sound barrier, that reached for the stars and came back with a piece of the Moon. We are a nation that is poised to defy the very elements pose by the frontiers of Earth, Space and Ocean. And, we will be the people that will one day pave the way towards the eventual settlement of these new frontiers. The following article from the New York times illustrates that this spirit of innovation is still alive and well in America. "Americans, perhaps more so than people of other nations, have great faith in the idea of the outsider inventor. The stories of inventors who made it out of their garages (Steve Jobs) and those who stayed there (Philo T. Farnsworth) are part of the national mythology. Ever since Benjamin Franklin broke with his apprenticeship in Boston as a teenager and recreated himself as a freethinker and fearless inventor (a narrative, some say, he simply repeated and wrote large with the founding of the nation)"
Our Independence Day is just as much a celebration of our innovative spirit as a celebration of freedom. Happy Birthday America we have much to feel pride for in our brief history.